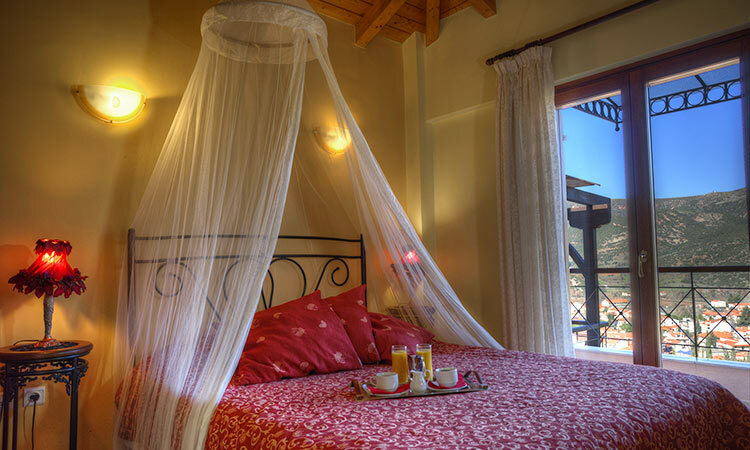 Finday Suites eco Boutique Hotel Kalavrita situated in a garden 6.000 m2 welcomes you and makes you enjoy every moment of your holiday. Its name may seem unknown to its visitors. However it has become a sweet memory to the local people. The traditional stone tap from which crystal clear water has been running incessantly became the inspiration of our boutique hotel. Our philosophy is the total comfort and hospitality. The complex has 7 rooms and 6 suites. 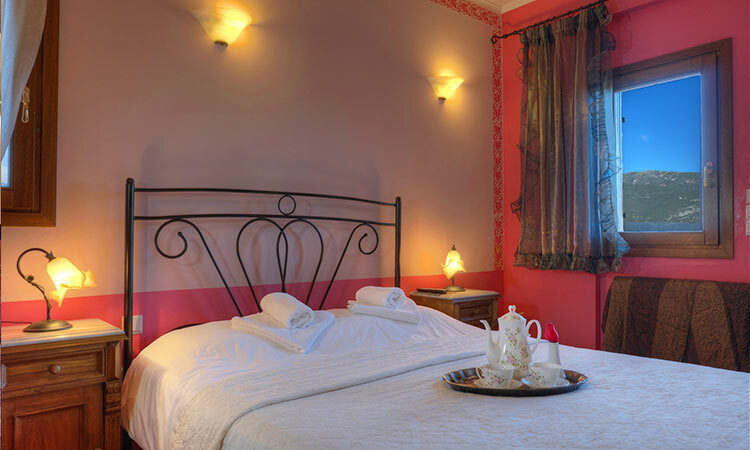 In more detail Finday Boutique Hotel consists of 6 suites (type: Deluxe) of 40 m2 each, able to offer hospitality to its guests in two independent rooms. The wooden floors along with the wooden internal ceilings and the fireplace create a pleasant cozy atmosphere. 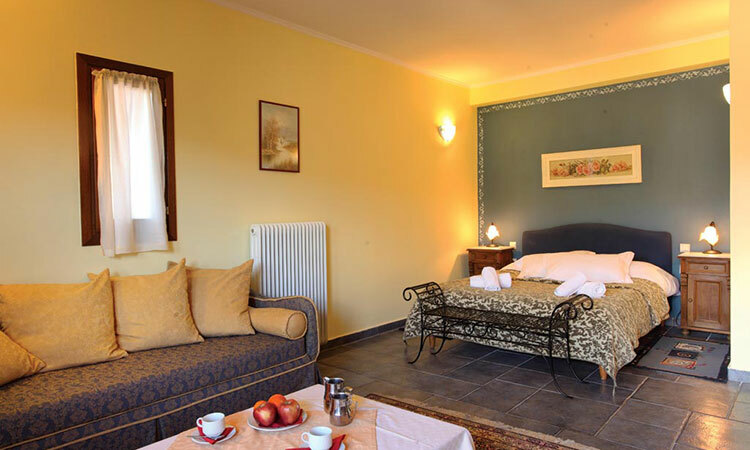 Deluxe offer central heating, T.V., fridge, coffee machine which gives visitors the opportunity to prepare breakfast as well as a bathroom with stone-tiles, equipment with hair dryer. Also there is a (Standard Double Room) which can accommodate up to two people and a (Superior Room) which is a studio with a double bed for the parents and a sofa that accommodates children. Parking is no issue either since we have the luxury to provide our guests with their own private parking as well. The individual verandas with a panoramic view both of the city of Kalavryta and the mountain range of Helmos, offer the visitors a dive into history through a unique natural surrounding.